Does your caravan have a jacking point? kojack is the answer. Custom designed brackets allow you to easily and effortlessly jack & level your caravan without the need for drilling your caravan chassis; which can void your warranty. Kojack fits 99% of caravans. “Wherever you park your motorhome or caravan you can always have the perfect pitch." 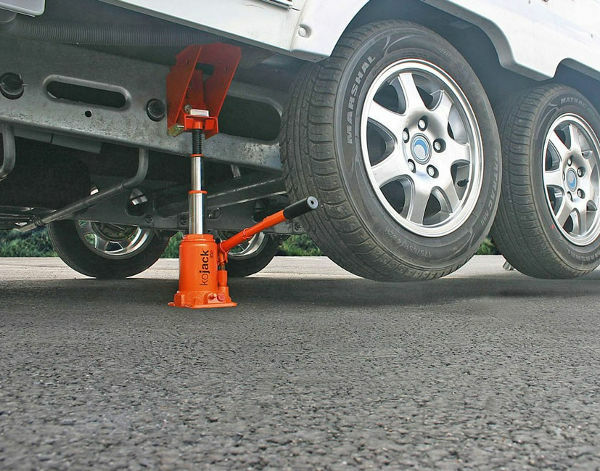 Designed in the Purple Line’s UK innovation centre the 3-Tier hydraulic bottle jack, connects into the dedicated safe anchor points, which are attached to your chassis. The brackets bolt in to pre-existing holes that are standard on most AL-KO & BPW chassis. 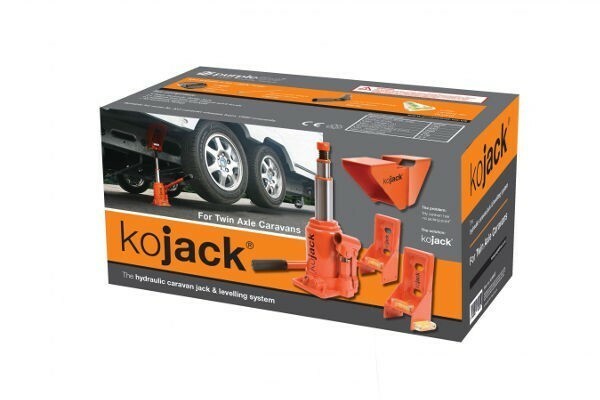 Kojack has full TUV CE accreditation and a safe working load (SWL) of 2000kg. 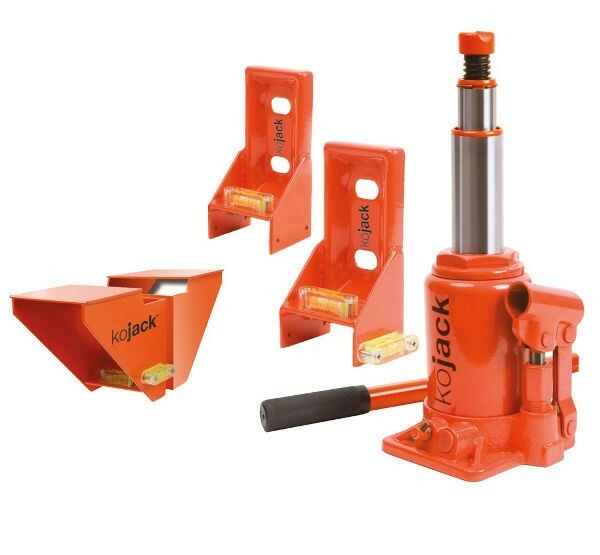 The kojack set includes a 3-tier hydraulic bottle jack, 2 x chassis brackets with integral spirit levels, 2 x additional support brackets (twin axle version) and all necessary fittings an fixings.